Who arranges my building and pest inspection? Our Office Manager – Natalie Jacobson, will liaise with the Real Estate Agent, Current tenants or Sellers to arrange for access to the property. Is a building and pest inspections always necessary? For a relatively small investment of a few hundred dollars, a combined building and pest inspection can give you complete peace of mind that the property you’re buying is structurally sound and free of potentially damaging pests. It can also help you negotiate the sale price if there are costly repairs that need to be done. As a seller, an inspection can also give you confidence that the house you’re selling is of a good condition and you won’t get any surprises when the buyer gets their own inspection done. How many inspectors will be inspecting the house? One, Chris Jacobson. Chris is both a fully qualified Builder & Pest Technician. Do you inspect the roof void? Yes. If your roof void is easily accessible and safe to access then we will inspect it. If the inspector deems that the roof void is unsafe to enter, then they will do all that they can to inspect it by other means. This may involve a visual inspection from the manhole or an exterior roof inspection. The report will clearly outline how the roof void was inspected and if there were any impediments. If I have a concrete slab, do I still need a timber pest inspection? Yes. This is important as there is no sub floor for the inspector to assess due to the concrete being on the ground. Termites only need very small gaps in the concrete to gain access to timber structure (e.g. gaps around pipes, electrical cables, through covered weep holes etc). I have a steel framed house, do I still need a building and pest inspection? Yes. Steel framed houses still contain a number of elements which are made of timber such as doors, cabinets, window frames etc which are all prone to termite infestations. Also, the building inspection itself can reveal if there are any structural elements to the house that are unsatisfactory. On average, a combined building and pest inspection will take between 1-2 hours to complete. This depends largely on the size of the house, any difficulties during the inspection and sometimes if the house is older, this may take longer to inspect. Do you use thermal imaging/infrared cameras? Yes, Chris uses uses a Flir e60 thermal imaging camera. This will show up things that are not perceptible to the human eye such as a water leak, moisture ingress or a termite infestation. Please contact our Office Manager Natalie Jacobson on 1800 663 390 / 0432656866 or email us at info@bpic.com.au. We can email an information sheet & quotation. What experience do your inspectors have? 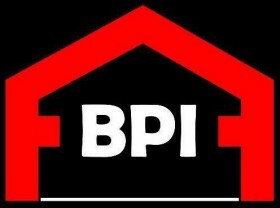 All BPI inspectors are fully licensed and insured and have passed rigorous training and examinations to become qualified building inspectors. Their experience ranges from 10 to 30 years in the building industry. When do I get my building inspection report? You will get your building inspection report within 24 hours of the inspection. Please look on our locations page here.